There was no time to draw the body. Not so incredible now, are ya, Hulk? 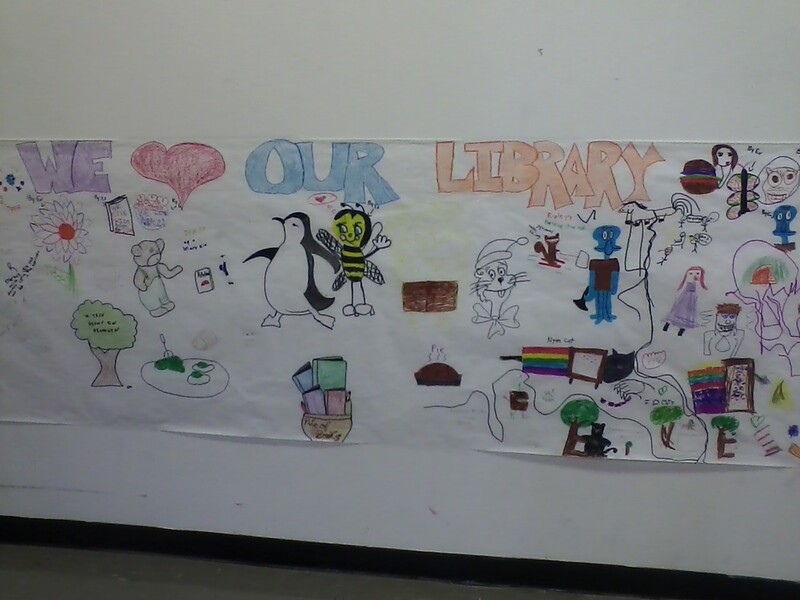 On a happier note, here is a picture of the completed mural. My coworker created the "We Love Our Library" caption and the kids drew in book/cartoon characters and whatever else they felt like. As you can see, there was a lot of artistic talent displayed. There was also a heated discussion about crayons. 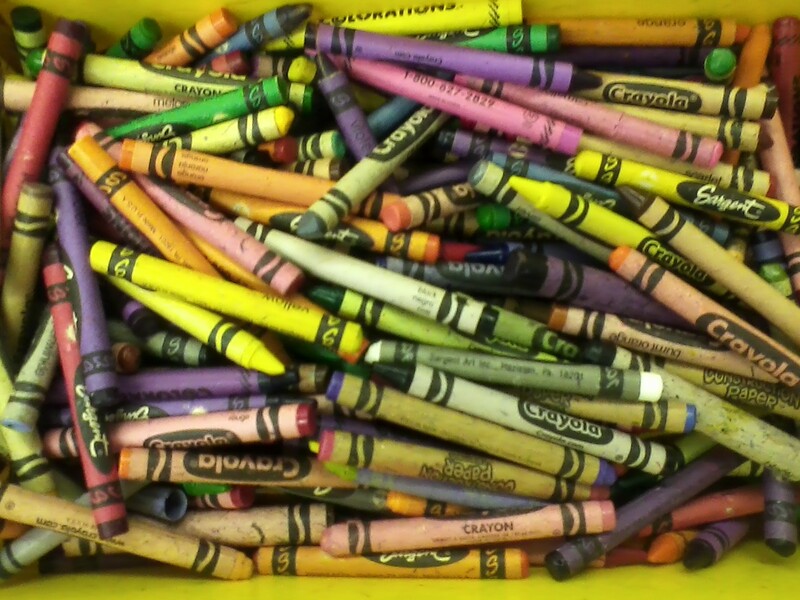 "Crayons are epic." "No, crayons are horrible." "Crayons are weak." Who knew the topic of crayons could stir such passionate debate between kids? Although I liked the entire mural (I have to say that, right?) 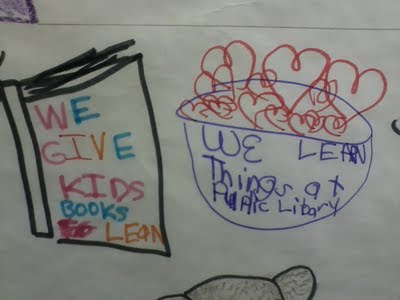 my favorite part was "We give kids books for learn" and "We learn things at public library" written by a little girl whose first language is not English. So adorable. And so true! Okay, that was awesome. I now want someone to make a cartoon about the Incredible Disembodied Hulk Head. That would be legend--wait for it--dary. That is an epic mural. I have a not-so-secret love of penguins, so you know what my favorite part was. 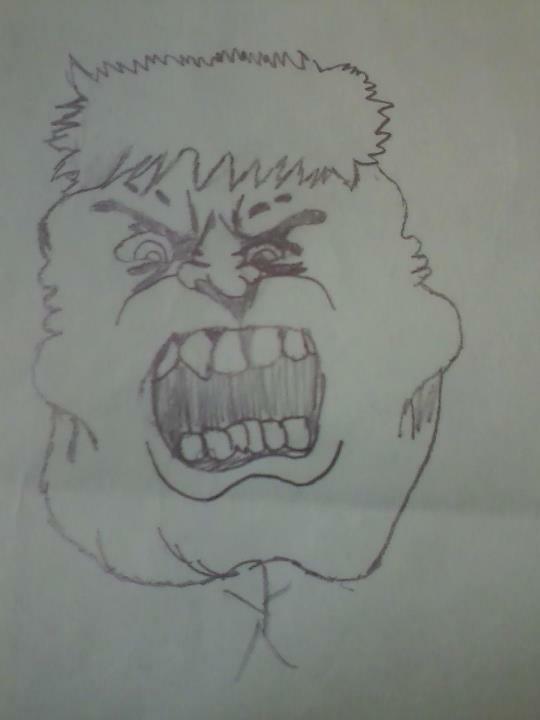 Hey, that Hulk drawing represents my mood, too! School needs to start now.